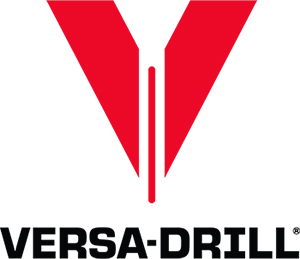 This introductory course is for new hires, students, engineers, inspectors and driller helpers who want to better understand the practical applications of the drilling process. Demonstrate the knowledge to complete a borehole. It takes years of experience in the field learning from successes and failures. This introductory course is for new hires, students, engineers, inspectors and driller helpers who want to better understand the practical applications of the drilling process. The 1-hour course will prepare individuals for the field with information that can be applied immediately. Before entering a jobsite or taking control of a rig, there are four critical components you must know. Brock Yordy is an experienced water well trainer who grew up drilling water wells for his father’s company in the United States. He has a Bachelor’s of Arts and Science from West Michigan University. Brock started his professional career as a Drilling Fluids Engineer for Baroid Industrial Drilling Products. As a mud engineer for Baroid IDP, he worked in with all methods of drilling, including; water well, geothermal, geotechnical, tunneling, construction, HDD, wireline coring, and large large-diameter shaft drilling. In 2008, Brock created a drilling fluids management plan for a 20ft 20-foot diameter reverse reverse-circulation project. The project was the first of its kind in the United States. In 2009, he was involved in the first phase of the Ball State Geothermal Project. Brock was instrumental in designing a drill plan and solids control program for the first 1,800 holes. In 2010, Brock developed a basic and advanced water well training program for the United States Military. The programs were specifically for water well drilling projects in the Middle East, Africa, and Latin America. Brock has trained more than 350 men and women for the U.S. Army and Air Force Engineers. In 2011, Brock went on to work as Project Manager on a new solids control technology for Baroid. He implemented the system on mining projects all over the world, which has given him extensive international drilling experience. Currently, Brock is the Business Development Manager and in-house drilling expert with Midwest GeoDrill. You can read Brock’s columns about solids control, site safety, and drilling methods in the National Driller magazine. In addition, Brock continues to teach and is working on publishing his first book on “How to Become a Driller”, set to be released in late 2019.